"Jesus punctured mankind’s common view that people fall into categories based on what they do and who they seem." Zipporah said, “You are a bridegroom of blood” – because of the circumcision. Moses’ wife performed the circumcision on their son. Apparently Moses couldn’t bring himself to inflict such pain and she had to undertake it to keep Moses from death. Moses didn’t perform it because he would not. That was a double death and his disobedience died by being shamed. 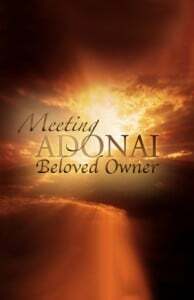 But if you belong to Adonai and move toward His will, He is able to undertake your obedience and cause it to happen.